The book covers different business entities creators might want to establish, using contracts, contract negotiations, copyrights, trademarks, right of publicity, fan art, fair use, work made for hire agreements, and many more topics. I also use lawsuits and disputes from the comic book industry to highlight and explain these issues. There's a lot of useful information in this short, inexpensive book. I hope you'll grab a copy and give it a read. 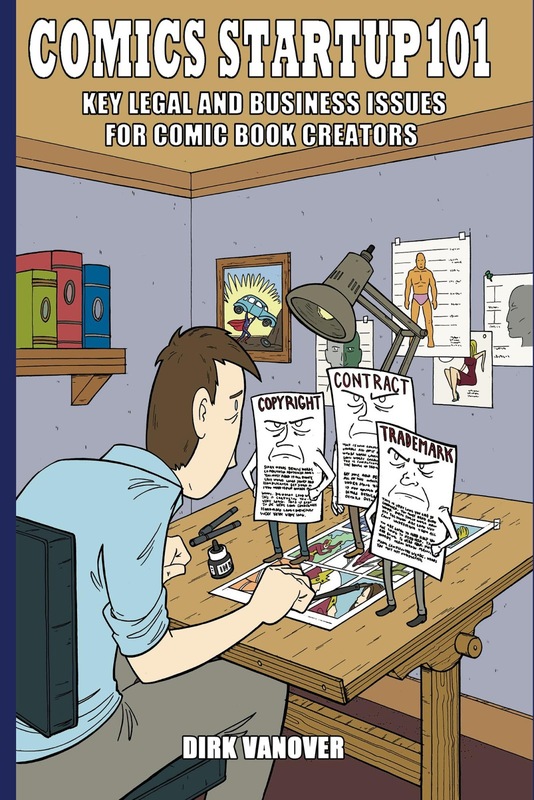 Even if you don't end up making comics, there is a lot of valuable information for anyone working as a freelancer in the media or arts world. I'd also like to thank Douglas Paszkiewicz for providing the artwork for the cover. Look at this cover. It's excellent. If you like the cover, first buy the book. Second, visit Douglas' website, ArsenicLullabies.com, to view more of his work.